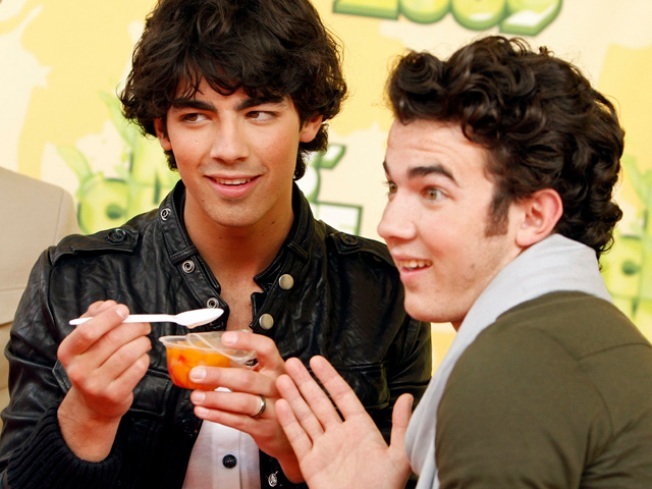 Joe Jonas (l) is joining "American Idol." Joe Jonas is joining "American Idol." A rep for the Jonas Brothers confirmed that the raven-haired singer has signed on to judge alongside Simon Cowell, Randy Jackson and Kara DioGuardi, People reported. Joe will judge in Dallas, TX, on Monday August 24. Previously, a FOX executive told reporters that "Idol" was looking for a host of women to fill the slot vacated by Paula Abdul, who decided not to return to the "Idol" judges' table. Joe will be the first male guest judge this season. Former Spice Girl Victoria Beckham recently filled in on two separate stops on the "American Idol" auditions cross-country jaunt. Katy Perry, Mary J. Blige and Shania Twain have also been confirmed as upcoming guests. And in related news, according to the Los Angeles Times, Kelly Clarkson, the original "American Idol" winner is in talks to also take a seat on the panel to help whittle down the batch of contestants. Reps for Joe and Kelly were not immediately available for comment.